Place bread on flat surface; if using condiments, add them now. Cut round slice of cheese/meat into two semi-circles. Place straight edge of cheese/meat along top and bottom edge of bread, as shown. Repeat step 3, this time placing the straight edge along the opposite sides of the bread. 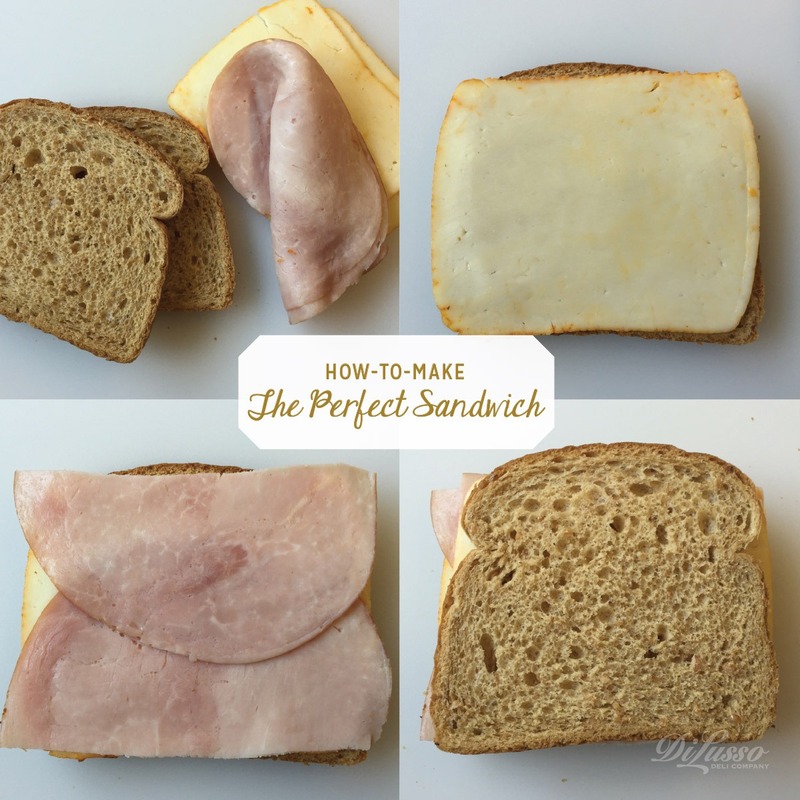 Add other sandwich ingredients as desired.